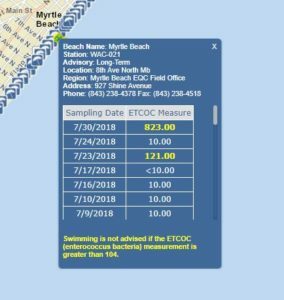 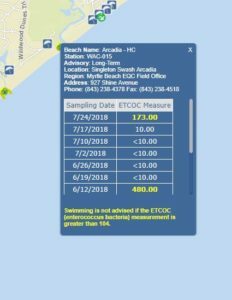 Eighteen days of continuous rains have caused DHEC to post higher than safe bacteria levels at seven area beach locations within the city limits of Myrtle Beach. 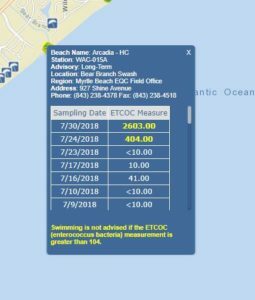 The Grande Dunes Members Area Swash rated higher than 25 times unsafe for swimming. 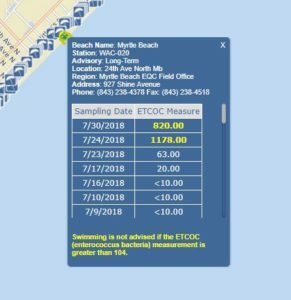 Any number above 104 is considered unsafe for swimming. 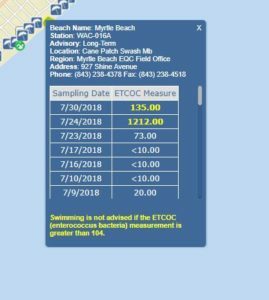 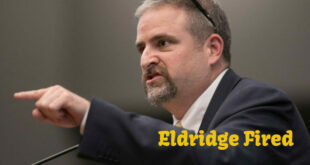 One Myrtle Beach tourist, Penny Fiorentino, reported experiencing beach born water bacteria issues after visiting. 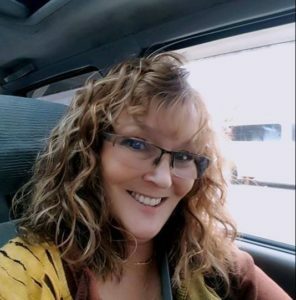 Penny told our team her doctor said her illness was definitely caused by beach born bacteria. 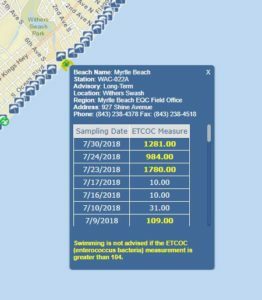 As it has been the habit of Myrtle Beach officials to harass and discredit tourists making such claims in the past, MyrtleBeachSC news is taking caution in how we are now publishing her report. 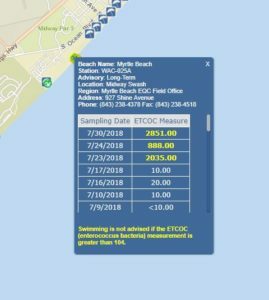 The following 7 beach areas are under advisory for the next 48 hours. 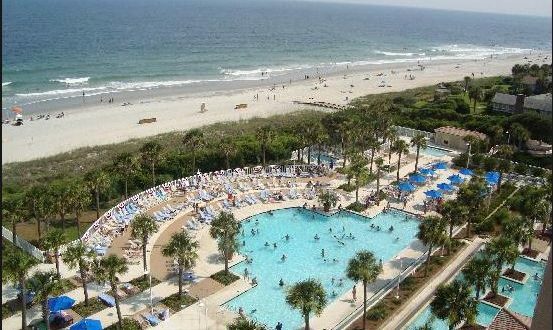 Should rains persist, we ask locals and tourists to continue to wade only in these areas.